Like a eldritch horror, Acthung Cthulhu‘s pulpy schtick is unforgettable once you’ve been in close proximity to it. As such, it’s great to see that Modiphius’ tabletop game is getting a video-game adaptation in the form of Acthung Cthulhu: Tactics later on in the year. Auroch Digital (Last Days of Old Earth, Ogre, Chainsaw Warrior) have been working on the adaptation publicly since the start of the year, when it had a successful Kickstarter campaign. With its targeted release year rapidly approaching a close, it is really starting to look like something both fans of the tabletop game and those of turn-based strategy games can enjoy. I was lucky enough to be introduced to the game, and given a little bit of history, while visiting the Bristol Games Hub. Acthung Cthulhu’s setting, an alternate-history take on World War II, sees a world where the Nazis are clawing away at the barriers between our world and one of dark magics. As such, evil Lovecraftian forces are starting to seep into everyday life, with most of the team of odd-bod heroes who lead the fight back against the Third Reich’s elite affected in one way or another. Ariane Dubois and Corporal Akhee Singh are two of the protagonists — the former kept alive by a demon which thirsts for corrupted souls and the latter in possession of an eldritch eye which risks further damning the world, but gives its bearer god-like dexterity. 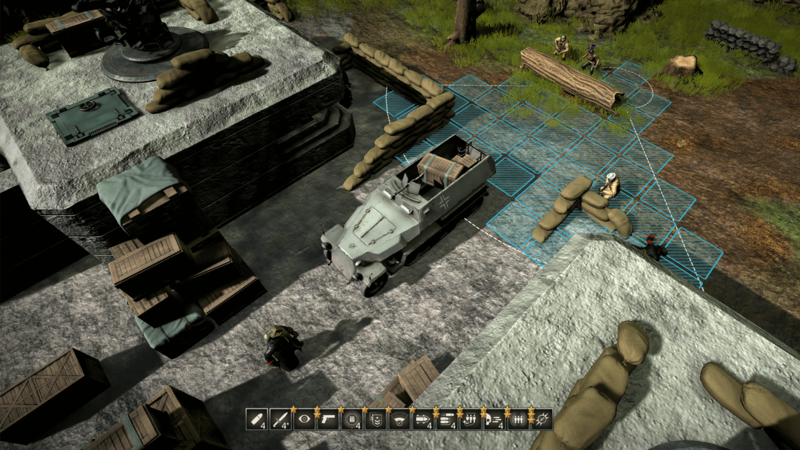 In combat the game is steady and turn-based, however, movement between these encounters are realtime and fluid. Enemies, while starting as grunt-tier soldiers, start to mix and mingle with Nachtwolfe troopers — tasked with locating and repurposing the darkest magics — and twisted, demonic forms. Even the basic enemies are aware of cover and flanking, something that the XCOM-esque combat of Acthung Cthulhu rings familiar to. They also play into one of its more memorable features: The Shroud. The Shroud is a fusion of traditional range and line-of-site mechanics, resulting in a visible area where targeting enemies is inefficient (as they are enshrouded by mist) but not impossible. This encourages constant player movement as well as flanking and more extravagant melee assaults. Where most tactical games advise that you move forwards with a degree of caution, The Shroud gives you a reason to keep pushing forward — because peeling it back works like a support buff. Enemy stats are hidden while they are in the shroud, so it is essentially to carefully set your character facings. Movement and actions mostly operate on an action-point system, meaning you can perform multiple actions on turns if you so wish. There are also momentum points, which you can use to put characters into overwatch or otherwise operate outside of normal boundaries — these are mostly gained by performing feats and dealing great damage in combat, and as such only in abundance when you race forwards with brash confidence. 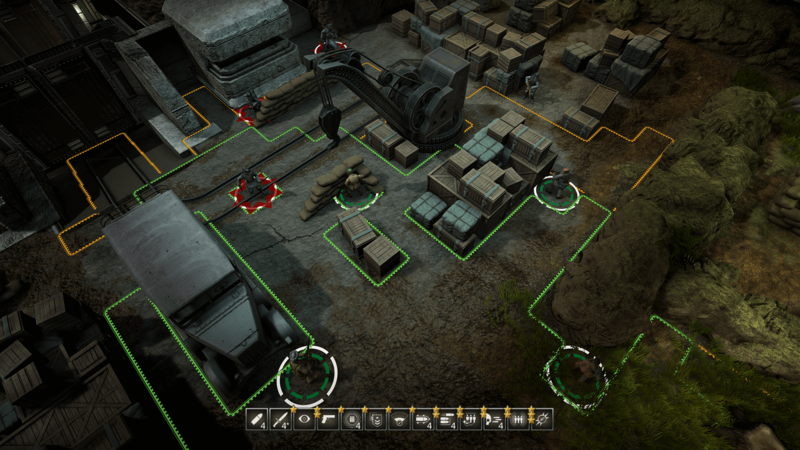 While there will inevitably (heck, I’ve done it once already) be comparisons to Firaxis’ XCOM, Acthung Cthulhu takes a more traditional RPG route when it comes to the characters: between each of the campaign levels, you can assign them new abilities and specialisations. That said, they can still fall in combat. If you lose one in a level, you can mount a rescue mission to get them back, with placeholder teammates filling the roster until they’re recovered. While there’s still a lot we don’t know about Acthung Cthluhu: Tactics, it is set to release later on in the year for PC, PS4, Nintendo Switch and Xbox One, and it definitely seems like one to watch.